Do you want to generate more traffic to your website? 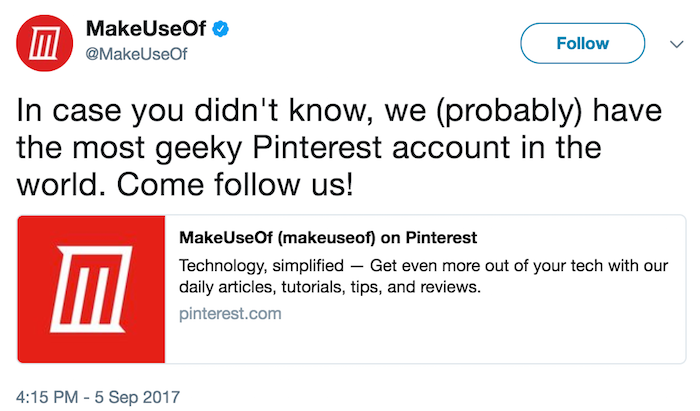 If so, then Pinterest needs to be a part of your overall social media marketing strategy. 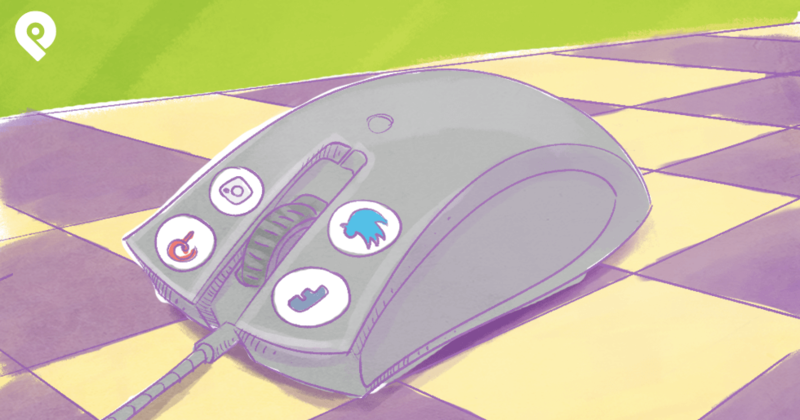 While it may seem suited for B2C on the surface, there are a variety of ways any business can thrive on one of the top social networks dedicated to visual content. 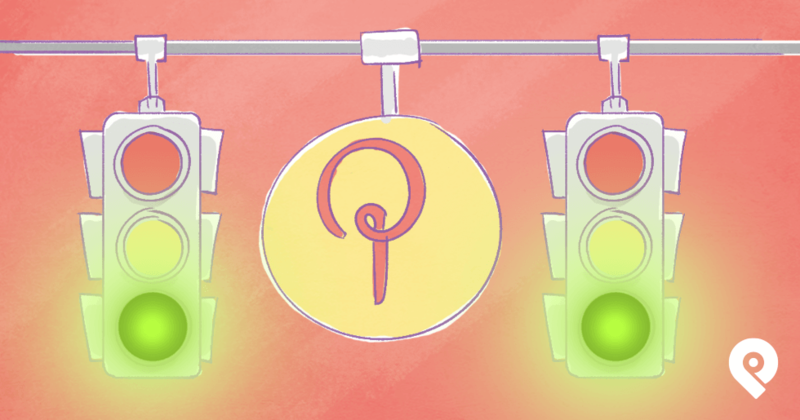 In this post, we're going to look at five genius ways you can generate organic Pinterest traffic to your website. If you're not sure why you should invest time in Pinterest, here are a few interesting stats that will get you going in the right direction. Pinterest has an estimated 880 million visits per month to their website, with 34% from the United States. It's the 40th most popular site globally. Pinterest gets an estimated 52% of its traffic from search engines, which shows Pinterest as a whole, plus its pins and boards, rank well in search. Compared to other social networks' traffic from search, Instagram gets 17%, Twitter gets 15%, and Facebook gets 9%. There are 175 million active registered users on Pinterest, a number that has doubled in three years. The Pinterest app is the fifth most popular social media app on the both the App Store for Apple users and Google Play for Android users. The app has an average of 4.5 out of five stars on both platforms, based on over 4.5 million reviews. In the United States, it's estimated that 45% of women, 17% of men, and an average of 35% of people ages 18 - 49 use Pinterest. 93% of active users say they use Pinterest when planning to make a purchase. Pins tend to have a longer lifespan than updates to Facebook, Twitter, Instagram, and other social networks when optimized properly. As you can see, while Pinterest isn't the number one social media network, it's very popular, highly rated, and has an engaged audience that is willing to spend. That makes it well worth the effort to get traffic from Pinterest to your website. So, let's look at seven ways you can do it! Pinterest has an estimated 880 million visits per month to their website. It's the 40th most popular site globally. If you want traffic from Pinterest, the first - and most crucial - step is to create pin worthy images for every page on your website. Most businesses focus on adding pin worthy images on product pages and pages filled with valuable content as those are most likely to be shared on Pinterest. So what makes for a pin worthy image? You can find out by looking at images shared on Pinterest from websites similar to yours. This will give you an idea of what types of images people who visit your website would be most likely to pin, as well as images people on Pinterest will engage with and, ultimately, click through to visit your website. Here's some examples of what makes an image pin worthy. High quality photography that represent a product, service, person using a product or service, or reason to use a product or service. Images that evoke emotion or inspire with great visuals, quotes, or both. Images that show complete directions on how to do something. Images that represent a certain step within a process. Images that display statistics, data, and facts on a particular topic (infographics). Header images for a piece of content or a section within content. 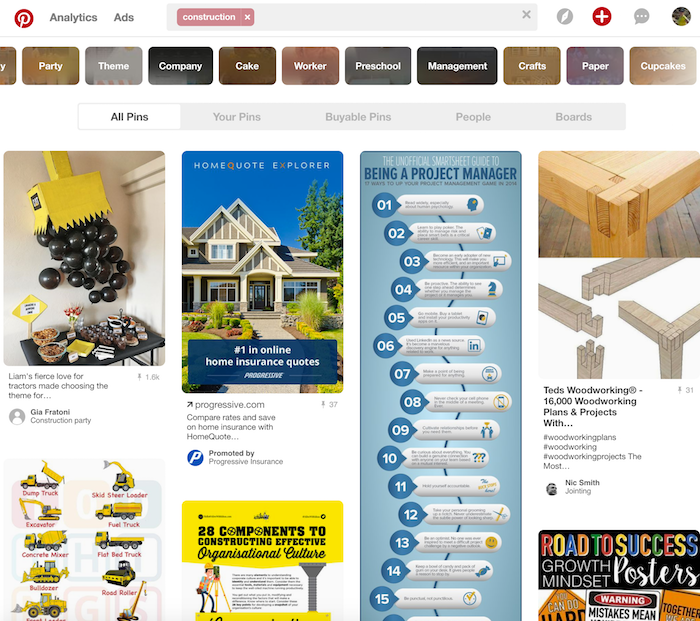 You can start your research by navigating to the categories most relevant to your website's content listed on the Pinterest Discover page. This will direct you to the most popular pins on specific topics. You can scroll through these pages and get a quick idea as to which pins are most popular based on the number of times they've been pinned, indicated below the bottom left corner of the image. This goes for both organic pins as well as promoted (paid) pins. Next, continue your research by searching for keywords related to your business. 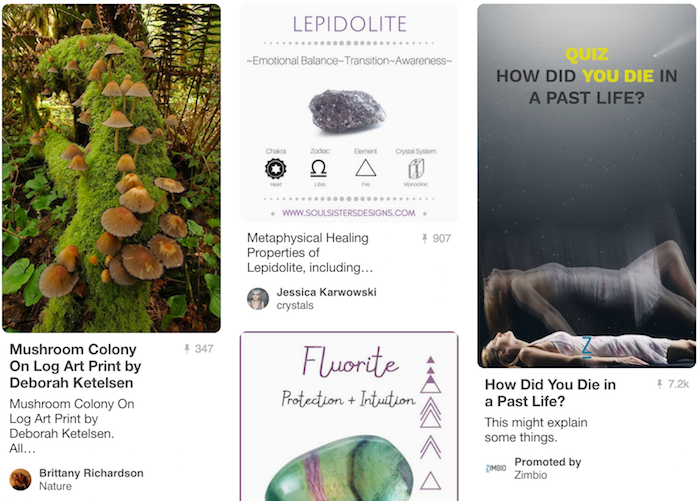 These will give you pins related to your topic as well as related topics that you can can use to refine your search. To dig deeper into the minds of people who already like similar content, try searching the domains of your competitor's (competitor.com) in the Pinterest search box to see pins from your competitor's website. This will give you an idea of how many people pin images similar to those you would make pinnable from your website. 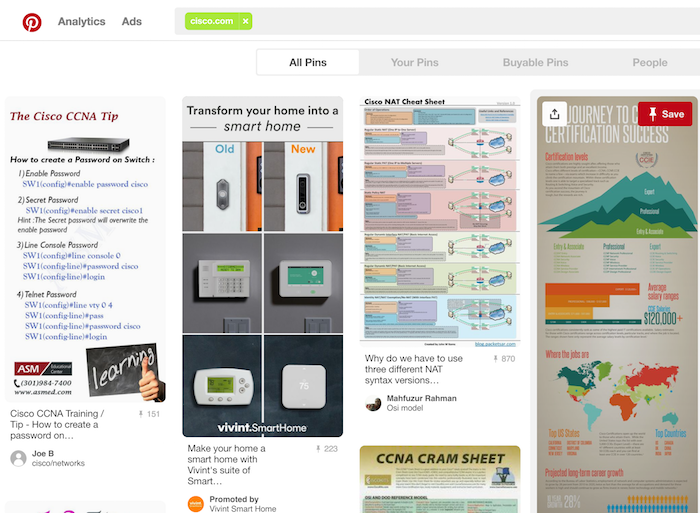 Last, but not least, find your competitors on Pinterest to see what types of pins they share to engage their audience. If, for the last two tactics, you can't find anything from your competitors, expand your research to similar businesses. 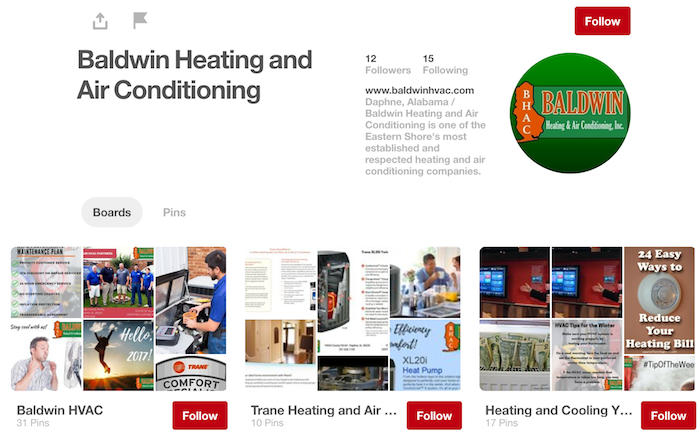 For example, maybe you can't find an HVAC company in Alabama that's very active on Pinterest, but you can find one in Phoenix, LA, and other larger metropolitan areas where there's more competition. Once you've finished this research, you should have a good understanding of the types of images you need for your website. Images that Pinterest users in your niche or industry are most likely to share with their Pinterest followers. Based on this research, you may want to invest in a professional camera or photographer for your products, image creation software, or a graphic designer to create the images you need for your website. 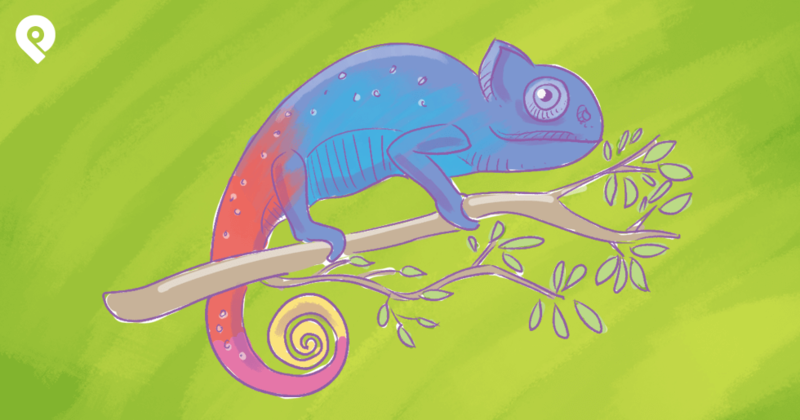 From here, your next task is to determine what pages on your website need pinnable images. You can use your website analytics to find the top pages of content on your website or use your shopping cart analytics to find the top products in your store. Then update each page appropriately in conjunction with the next step. 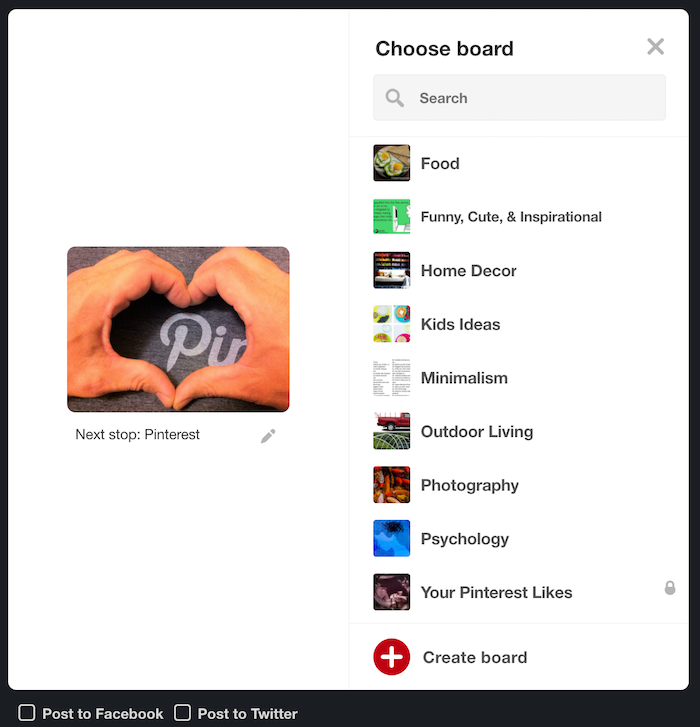 While dedicated Pinterest users may have a pin it button on their browser or mobile device, you shouldn't expect all Pinterest users to have their own tools to make pinning easy. Rather, you should make it easy for every visitor to pin your images. Pinterest offers a few different ways that visitors to your website can pin your images in the form of buttons that you can add to your website pages. If your website is built on WordPress, Wix, Squarespace, Tumblr, or Blogger, you will find specific directions on how to add Pinterest buttons to your website using plugins or features offered for those platforms. These buttons will either appear on an image when the visitor hovers over the image or appear in a static place on the page, allowing visitors to pin one image that you have specified or any image on the page. Ideally, you'ill want to offer both a hover-over pin it button on each image as well as a static pin it button to ensure that every visitor sees the option to pin their favorite image. If you want the most control over your visitor's Pinterest options, you can use the Widget Builder and choose the Save button for one image. This will allow you to configure a pin button for each image on the page with full details. 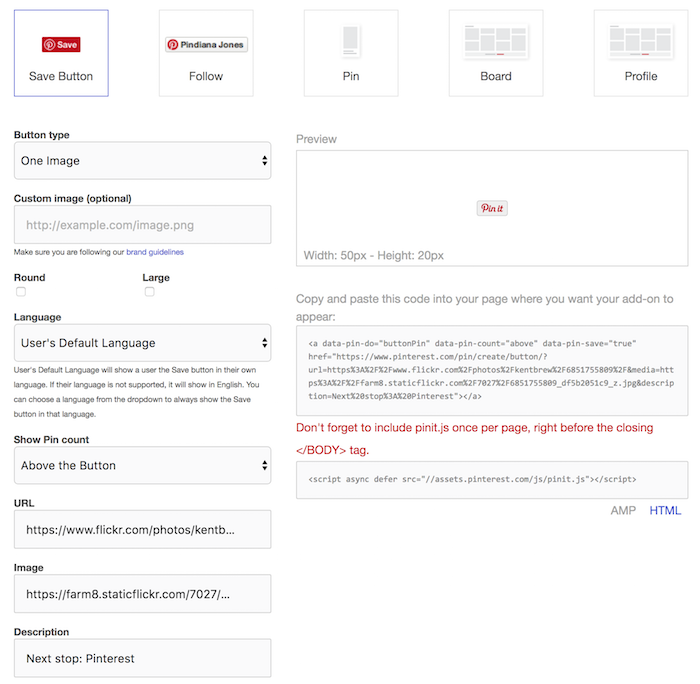 In the Widget Builder, you can specify the image URL, the URL that will be saved with the image on Pinterest, and the description text for the image pin. When visitors click on the button above, for example, they'll get the option to pin the following. The reason this button is best is because you get the ability to optimize the pin text and URL in a way that works best for you through the use of specific keywords and calls to action. Just like you optimize your content and product pages for search, you should optimize Pinterest presence as well. Think of Pinterest like Google - you want people searching for your keywords to find your pins, profile, or boards. Imagine being the wedding photographer with 3,000 - 7,000 pins to to content on their website! The key to achieving this is keyword optimization. If your main website is optimized for a specific keyword, that keyword should be in your profile bio, at least one of your boards, and as many of your pins as you can make relevant. Ideally, your keyword will be in the title and description of each of these items. Let's say your company sells boots. Your business profile name could be Your Company Boots, and in your profile bio, you could list your top three product categories like Women's Boots, Men's Boots, and Leather Boots. Your boards would be titled Women's Boots, Men's Boots, Black Boots, Leather Boots, Cowboy Boots, and so forth. 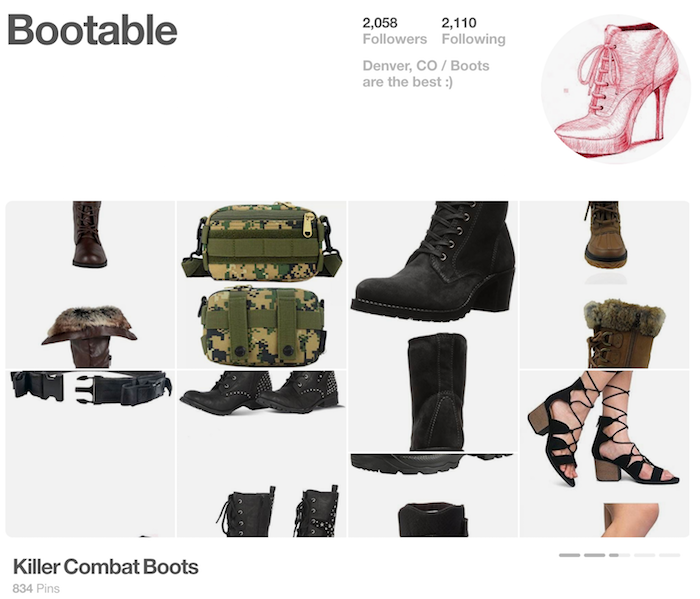 And you'd pin your products in these boards that have the product name plus one of the above keywords (i.e., Name - Women's Boots or Women's Boots: Name). Also be sure to go beyond the obvious. Create boards for images that your target audience or customer might be searching for. The fictitious boot sales company above could have boards about motocycle wear, work wear, etc., all of which either have a pin for relevant products from their store along with pins for related, but not competitive products, such as motorcycle jackets or safety glasses. Optimization also counts for customized pin it buttons on your website. As mentioned earlier, you can use the Widget Builder to create a Save button for one image on a web page. Keep keywords in mind when you write the Description for the button so that visitors who use it will automatically have keyword-optimized pins leading back to your web page. 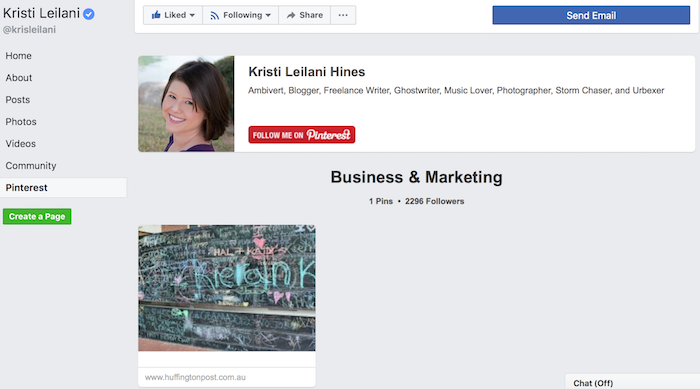 If you have a large social media following on other networks, make sure those followers know about your Pinterest account by promoting your profile and pins on those networks. 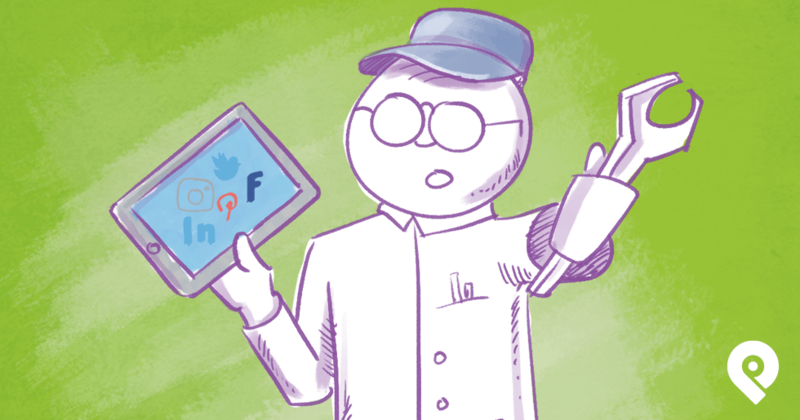 The more followers you have, the more clicks you will get from your pins to your website! For example, you can regularly ask your Twitter followers if they'd like to follow you on Pinterest. Let your Instagram followers know about your Pinterest. Instagram users will be easier to convert to Pinterest followers because of their love of visual content. 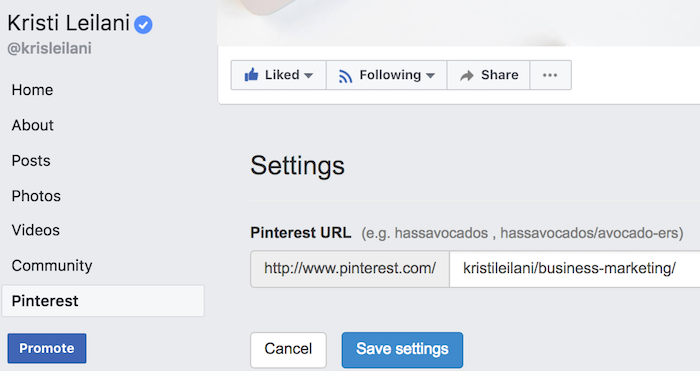 You can even add a Pinterest tab to your Facebook Page so all of your page's visitors can find you on Pinterest too. This app for adding a Pinterest tab on your Facebook Page will look like this to your visitors (but will show ads for admins). 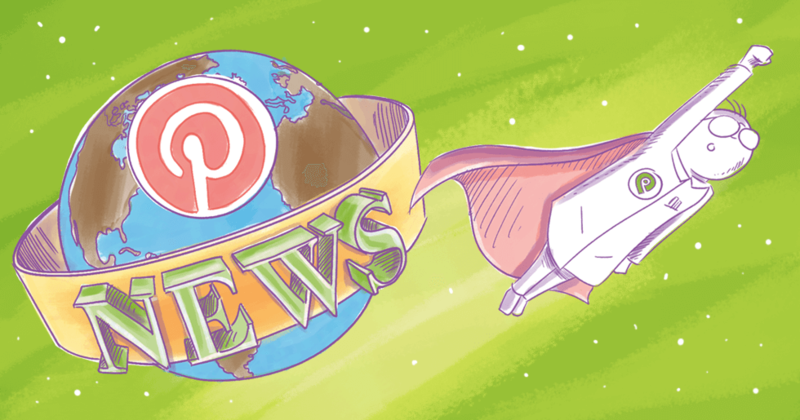 You can also announce new boards, new pins, and other Pinterest milestones such as gaining your first 1,000 Pinterest followers. 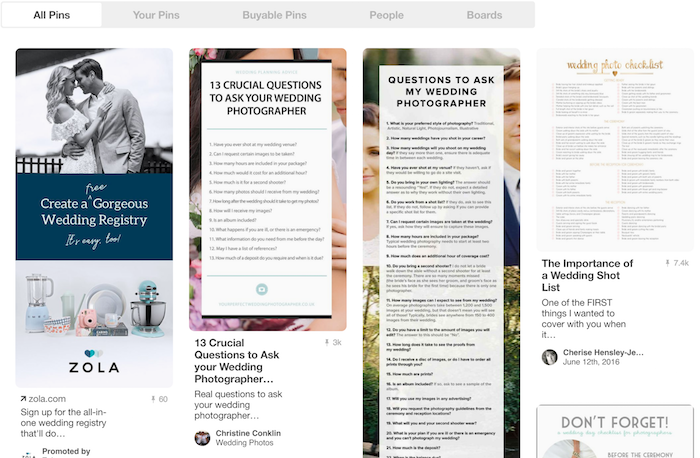 These tactics should help you build an engaged following on Pinterest. A following that is interested in what you have to pin and more likely to click through your pins to your website. 5. Follow up with people who share your images. As more and more people start to repin your pins or pin images from your website, you will be greeted with the opportunity to build a relationship. You can start by saying thank you to everyone who repins or pins one of your image publicly, as a comment on their pin, and privately through a direct message. Should you get a positive response from the person privately, and you notice they have a large following, be sure to follow up. 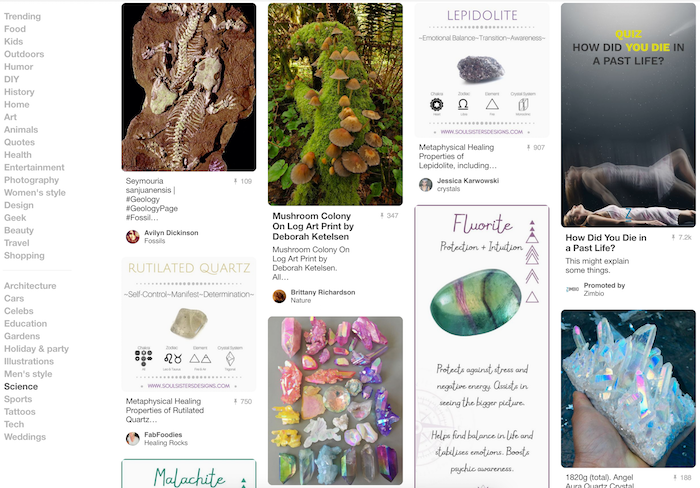 Share new pins that they might like from your Pinterest profile - pins that link back to your website. Hopefully, they'll like the new image and repin it, giving you more pins and more traffic opportunities! Pinterest can be a great source of organic traffic to your website -- if you know the kind of images your target audience is interested in. Once you know that, you can share them as pinnable images on your website and pins on your Pinterest profile. From there, it's just a matter of accumulating Pinterest followers that are interested in what you have to share.